In fact, a recent study by the SPD Scientific Work Group found that one in every six children experiences sensory symp- toms that are significant enough to affect everyday life. 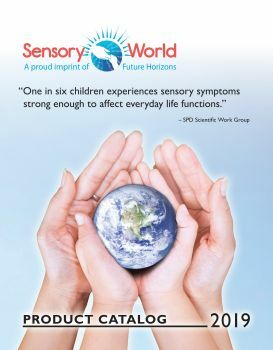 With the help of experts like Carol Kranowitz, Dr. Temple Grandin, and Dr. Lucy Jane Miller, many more people are becoming aware of how sensory issues might affect them—and more importantly, how to help overcome their challenges. Please enjoy our catalog. You will find many helpful resources here.